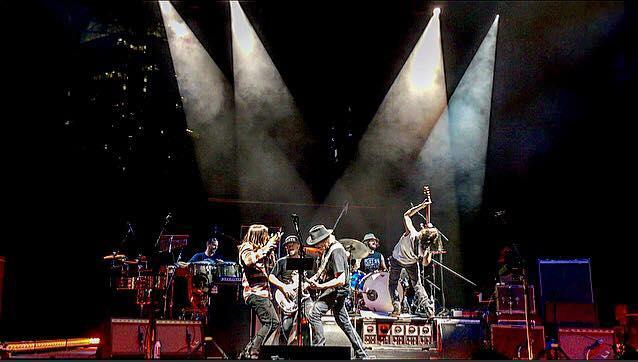 _ _ Resurgence & Ecologist joins green groups on Neil Young tour Resurgence & Ecologist magazine is to join other green organisations invited by rock musician Neil Young to accompany his forthcoming tour of Britain and Ireland, 7th-11th June, and spread the environmental message. 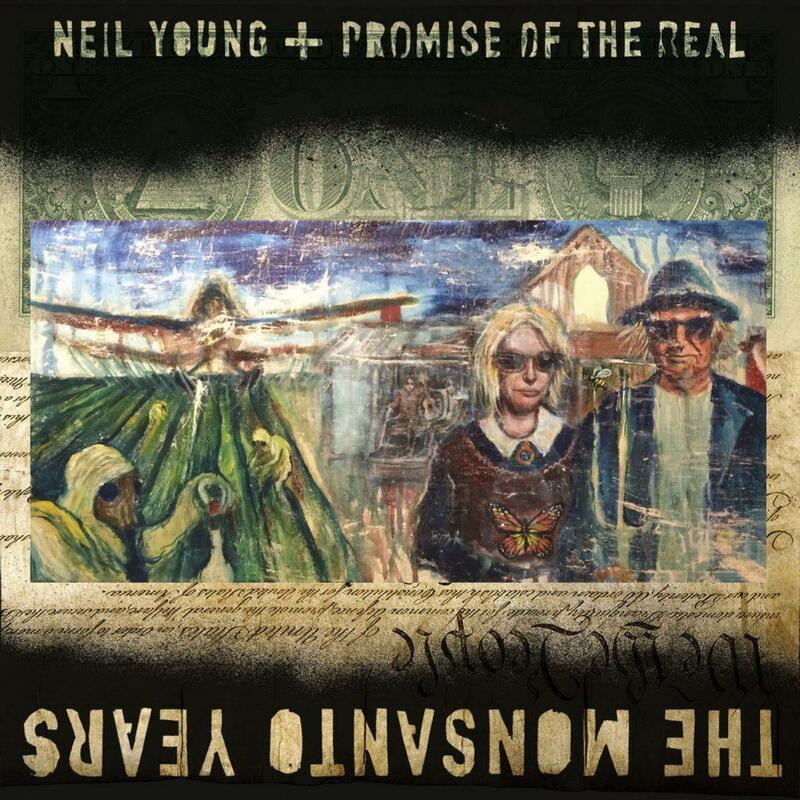 Neil Young's new album, The Monsanto Years, showcases the Canadian singer-songwriter's longstanding concerns for environmental issues, including the dangers of GMOs (genetically-modified organisms) and corporate power. It features songs exploring such topics as global hunger, pesticides and ecology as well as highlighting issue ranging from climate change and renewable energy to social justice, endangered species and ocean conservation. The tour, which is supported by Californian rock band, Promise of the Real, will also promote Neil’s new live album_,_ Earth. Accompanying Neil Young’s tour will be an extensive ‘Global Village' of activists which has already toured the US with the veteran singer and which will be a feature at the UK/ROI gigs this week in Belfast (SSE Arena, 7 June), Dublin (3 Arena, 8 June), Leeds (First Direct Arena, 10 June) and London (O2 Arena, 11 June), before continuing across France and Europe. The Global Village will feature Resurgence & Ecologist and many other respected local and international green campaigners and organisations on the tour - such as Beyond GM, Friends of the Earth and Sustain - who have been invited to share their materials and messages at Neil’s gigs. 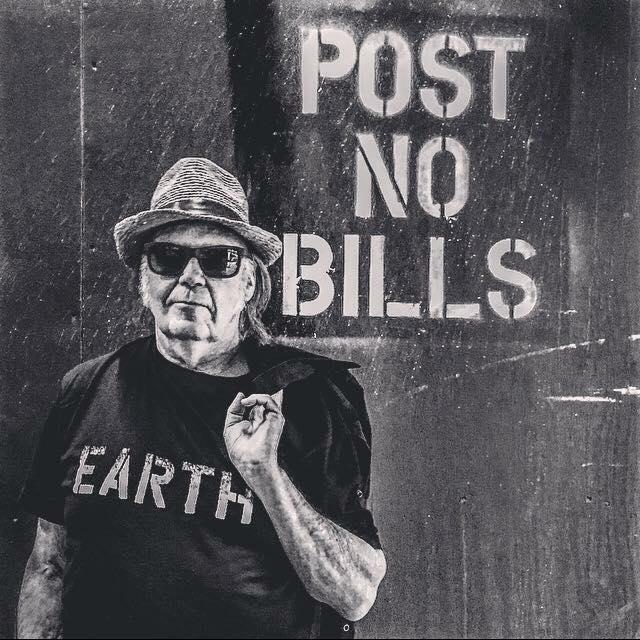 Neil Young has also recently launched a resource website, GoEarth.org, to support people wanting to live a greener life, based around the activities of the Global Village. Charris Ford, Neil Young’s Environmental Campaign Manager, said: “We’re delighted that Resurgence & Ecologist is joining Neil Young’s UK tour and quest to create more environmentally conscious world. Like Neil, both Resurgence and the Ecologist have been at the forefront of the green and social justice movements for decades - and since the two magazines merged in 2012 - they have provided a strong united voice in the call for a more just and resilient future.” The Global Village comprises of six themed tents focussing on six different activist topics: GMOs, Earth Ecology, Energy & Climate, Freedom & Justice, Future of Farming, and News You Can Trust. Attending fans will have the opportunity to talk with organisation representatives to learn valuable information about the most pressing ecological and social issues facing our planet today. Resurgence & Ecologist will be featured in the 'News You Can Trust' tent, along with fellow green publications including Permaculture, Positive News, Peace News and Earth Island Journal. Greg Neale, Editor of Resurgence & Ecologist, said: “We are very grateful to Neil Young for inviting Resurgence & Ecologist to join the ‘News You Can Trust’ tent on this exciting tour, helping to communicate some of our shared ideals and messages for a more sustainable and fairer world to a much wider audience. "This year – 50 years since Neil co-founded Buffalo Springfield in 1966 - Resurgence celebrates its own 50th birthday. So like Neil, we were among the early campaigners for the sort of environmental and social issues that have become so relevant and critical today. “If you come to any of Neil’s concerts in Belfast, Dublin, Leeds or London, look out for Resurgence & Ecologist - copies of the magazine will be available in the Global Village and we will also have a stand and representatives from the magazine at the Belfast and London gigs who will be delighted to tell you more about the magazine and the wider work of The Resurgence Trust and answer any questions.” One of the few musical artists to have been inducted into the Rock & Roll Hall of fame twice, Neil Young has been blazing a light on political and environmental issues through his music for decades. His song ‘Ohio’ – written during his days with Crosby, Stills, Nash & Young – was a condemnation of the shooting of four students at Kent State University in 1970 during anti-war protests. More recently he has protested against the tar sands projects in Canada, made a stand for the rights of indigenous peoples, and initiated a boycott of Starbucks until they stop supporting Monsanto’s bid to block GMO labelling in the United States. Neil Young explains the Monsanto dilemma that fuelled his album and the tour: "The Monsanto Years are here and we are living them. Monsanto is the poster-child for what is wrong with corporate controlled government in our world. The Monsanto Years encompasses several associated subjects that millions of people worldwide are concerned about and active in. Earth is not ours. We are of the Earth. That's how I feel. When we plunder our own home we hurt our children and their children after them. I feel responsible."